Hi, I’m in my mid 40’s with oily skin. 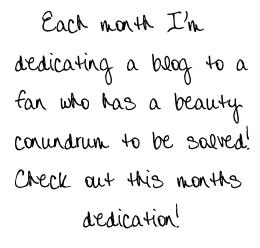 My biggest beauty conundrum? I have both puffy under eye bags AND under eye circles! I’ve never been able to find a cream and concealer technique to combat both things at the same time. Can you please help? Thanks so much! – K.A. 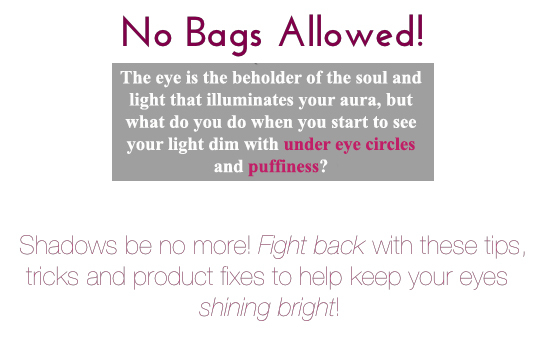 FIGHT BACK UNDER EYE PUFFINESS, FATIGUE & CIRCLES WITH A FEW KEY TIPS & PRODUCT INGREDIENTS KNOWN TO SUCCEED IN THE BATTLE! *Water is essential to flushing out toxins in our body, sustaining bright, clear skin and helping to de-puff our eyes so they can remain bright! *Sodium is a key component of our diets, but whether we realize it or not, excessive amounts of salt can be found in foods we eat throughout the day, creating ample opportunity for the plump puff below the eyes, usually compounded in the morning! *Avoid excessively salty foods like chips, preserved veggies and grab n’ go foods. By adding high water content foods, you’ll reap the benefits of great nutrition and fight the puff! Try cucumbers, water chestnuts, celery, and dandelion (all great in salads)! *Elevated pillows can aid the morning puff! Even the slightest elevation while sleeping can really assist in alleviating fluids collecting under the eyes helping reduce swelling and circles! There is no other miracle than sleep, beauty REST is a MUST! NOW THAT WE KNOW THE THINGS WE CAN DO FROM THE INSIDE OUT, HERE’S SOME PRODUCTS TO HELP AID THE FIGHT FROM THE OUTSIDE IN! – Freeze: Try taking a cosmetic cotton puffs and cutting it in half (the Oval shaped ones work best!) Then soak the pads lightly in whole milk and freeze. Place the frozen treatments over your eyes for 10 to 15 minutes and watch the miracle of the chill reduce swelling and bags. – Aid: 2 Essential ingredients to look for in your under eye cream/gels: Caffeine, Vitamin K and Vitamin E ! – Try: Two of my absolute fav’s! Arcona “Eye Dew” – Under Eye Circles, it’s official, it’s a match made in heaven. If the name alone doesn’t lend you to believe, this powerful under eye cream fights aging, lines, and darkness with its hyaluronic acids and has botanical anti-inflammatory blue berry extract and vitamin E. The effect is addictive! Arcona’s “Peptide Eye Serum” targets under eye with coffee to reduce the puff and hydrates the area with peptides revitalizing while also gently alleviating lines. 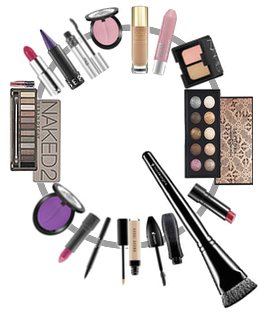 – Conceal: Targeting under eye circles also involves concealing. The surest way to hide any residual darkness is with a fool proof product that counteracts darkness, conceals and stays! – Try: Lancome’s “Effacerns” Waterproof Protective Under eye Concealer” This little tube delivers buildable coverage that won’t budge. Perfect for dark circles while escaping the “falling into lines” syndrome. I love it! * Eve Pearl’s “Dual Salmon Concealer® & Treatment w/Astaxanthin” A creamy blend of two complimentary tones of concealer to mask under eye circles and minimize puffiness. Choose your unique shade and blend to personalized perfection! Did I mention this also has an skin care treatment packed into it? * Kanebo Sensai “Concealer” Pen delivers concealing, micro reflective properties and a touch of reparative skin care in every click. Use this as an on-the-go touch-up resource.